Since 1863, five generations of the CAMUS family have cultivated a passion for crafting great Cognac in their own style, bringing to life the infinite richness and soul of the terroir that is their home. CAMUS – the largest Cognac House to remain familyowned and independent – has recently been awarded the Entreprise du Patrimoine Vivant Label. This prestigious distinction recognizes the excellence of CAMUS’ savoirfaire, advanced technical skills and commitment to crafting outstanding products … you can become a part of it during a two-hour-long workshop. After an introduction to CAMUS, enter the mysterious world of the Cellar Master and discover the art of tasting. Anne Lataillade - Blogger "Papilles et Pupilles"
I was lucky enough to be able to participate in a Master Blender workshop during which you create your own cognac XO from some of the greatest eaux-de-vie. At the end of this very original workshop created by Camus, you leave with your very own cognac, with its own name and inscribed for ever in the house register. It’s an exciting experience when you put on your cellar master’s hat and it’s down to you to create your own blend, rather like, if you catch my drift, creating a human body! You have to create the skeleton, the flesh, the nerves and the skin. It was a truly exciting overview that allowed me to understand the very real complexities involved in blending. 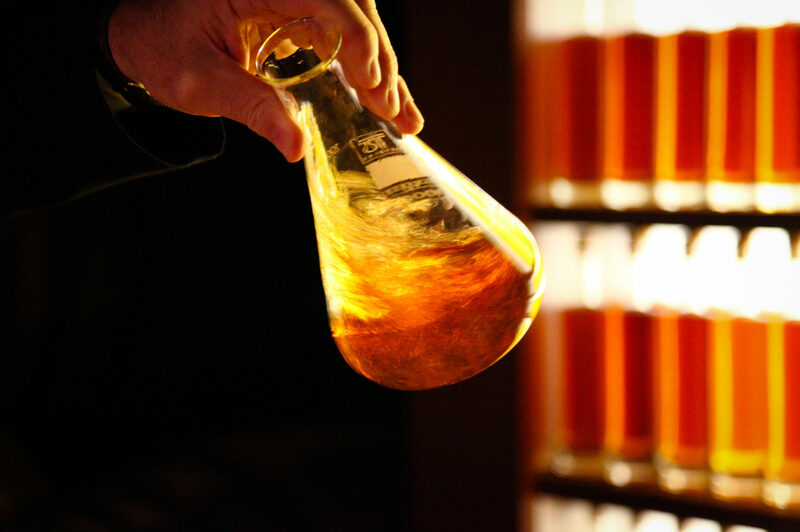 You too can enjoy a similar experience and create your very own cognac at Camus. I blended my own cognac ! During an exclusive training session held under professional guidance, become the Master Blender yourself and create your own personalized, unique XO Cognac. An instructive, fun hands-on workshop all year round by appointment for 160€/person. 20% discount for groups of 10 or more adults.